I’m afraid THIS is the problem. Many people just don’t know what they don’t know. They weren’t there or they just don’t read or know what’s going on and of course history, even recent history doesn’t get taught. 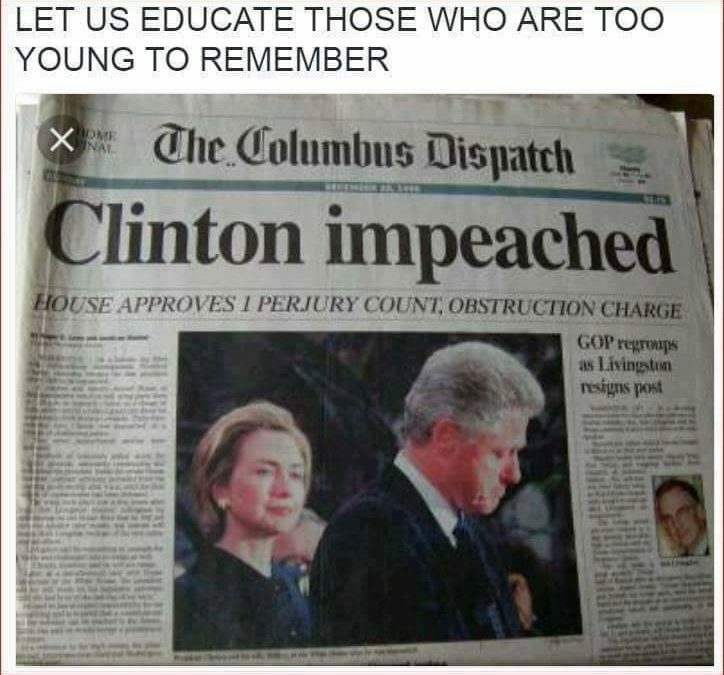 (For the record Clinton was impeached on the two charges of perjury and obstruction of justice which came about via the Lewinsky affair and his testimony about that, during his sexual harassment lawsuit by another of his victims Paula Jones.